By Popular Demand - One last Featherweight Maintenance Class added! 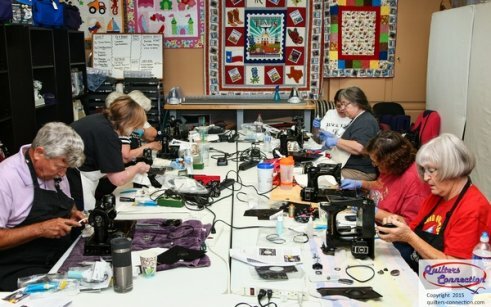 Featherweight Maintenance Class before we close our quilt shop in Dallas. when you can learn to do it yourself! There is no better way to learn than by attending our Featherweight maintenance class. We'll teach you to disassemble, clean, lubricate, reassemble, and adjust your machine to make it run quietly and sew perfectly. or click here to sign up online!